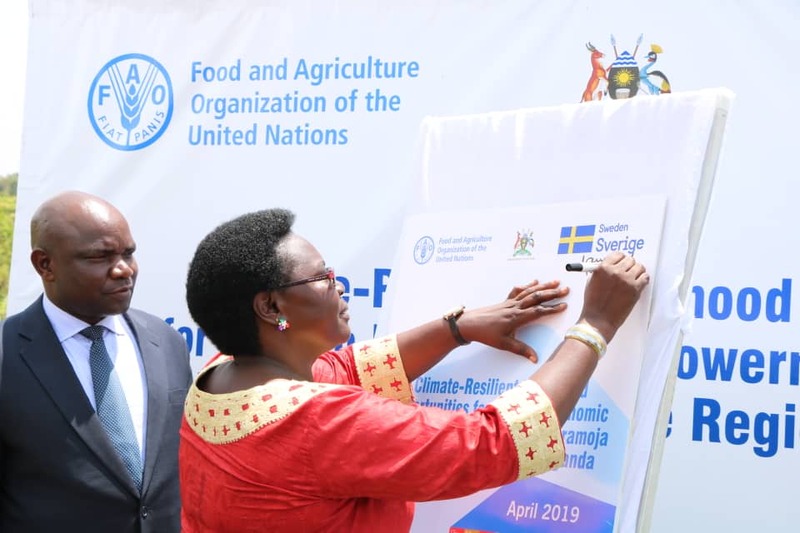 ARUA – The Food and Agriculture Organization of the United Nations (FAO) and the Government of Uganda on Tuesday, April 2 launched a five-year project aimed at economic empowerment of women and contributing to the eradication of poverty in Karamoja and West Nile regions of Uganda. 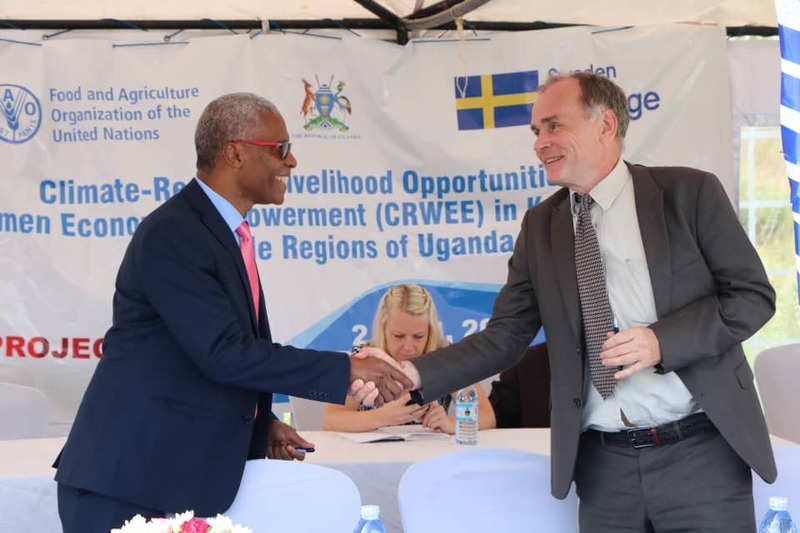 The project, ‘Climate Resilient Livelihood Opportunities for Women Economic Empowerment (CRWEE) in Karamoja and West Nile Regions of Uganda, is funded by Sweden, through the Swedish International Development Agency (Sida) in Uganda. It aims to strengthen gender responsive and climate change resilience of rural women populations which depend on agricultural production systems through three key result areas: Improving women’s access to and control of productive resources and decision-making capacity; improving household income and capacity to adapt to and mitigate climate change through gender-responsive livelihood opportunities, and; enhancing ecosystem adaptive and mitigation capacities. Through the project, FAO will target about 250 farmer groups, reaching 52, 500 people as direct beneficiaries, with a ripple effect to more than 100, 000 people supported overall. Six out of every 10 beneficiaries will be women and girls. 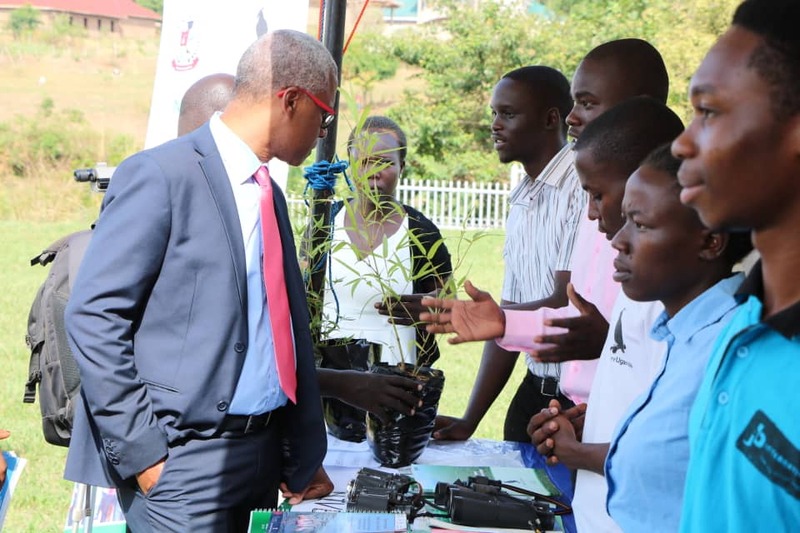 An additional 6, 000 households will benefit from ecosystem management interventions such as tree planting, while at least 180 government officials from national and district levels, will receive training to empower them for gender-transformative climate change adaptation and mitigation. She called upon FAO, Sweden and other development partners to work together to eliminate poverty in the two poverty-laden regions of the country by enhancing agricultural production, tackling youth unemployment and creating opportunities for income generation. “If we can address these three things, Karamoja and West Nile regions will have more food,” she said. Ms. Kwiyucwinyi commended FAO for supporting the communities to identify relevant commodities such as cashew nuts, Irish potatoes, cassava, apiary and tree planting, which she advised the project implementers to promote further through value addition. The head of development cooperation at the Swedish Embassy in Uganda, Mr. Ola Hällgren emphasized the commitment of the Swedish government to support Uganda to increase economic empowerment of rural women through support to production, productivity and productive employment in the agricultural sector, particularly in Karamoja and West Nile. “The government of Sweden recognizes the need to address a number of bottlenecks such as the use of rudimentary tools and technology in production, impacts of climate change and environmental degradation, lack of markets and market information, limited access and ownership of production assets for women and youths, limitations to financial access and vulnerabilities to shocks”, Mr. Hällgren said. The West Nile and Karamoja sub-regions have peculiar challenges to rural development and poverty reduction. Compounded by the refugee influx in West Nile and recurrent long droughts and floods in Karamoja, make it extremely hard for many households to sustain an agriculture-based livelihood. 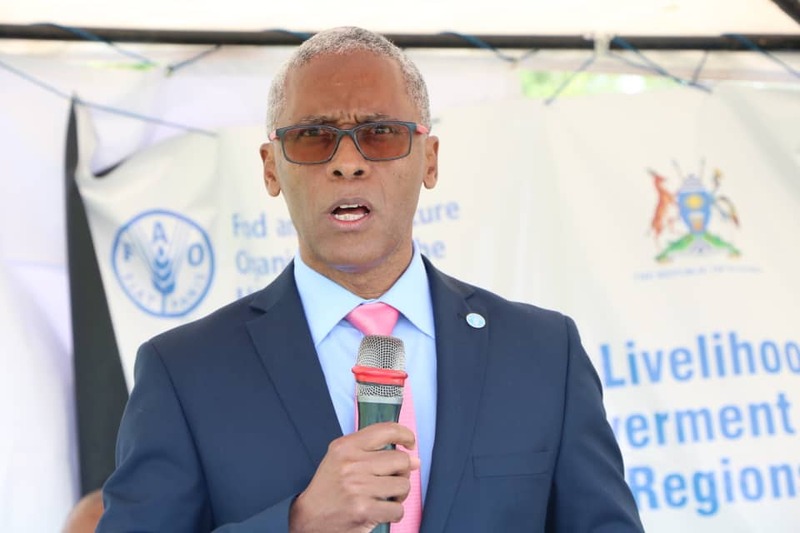 The FAO Representative in Uganda, Mr. Antonio Querido, said that the role of women as the invisible hands that feed the nation remains constrained by social, cultural, environmental and economic orientations that must be addressed for sustainable development. “The elimination of challenges faced by women in agriculture, including easing access to water for irrigation and provision of more climate resilient economics opportunities can contribute to increasing food security in Uganda, thereby positively impacting the incomes of agriculture dependent households”, Mr. Querido said. 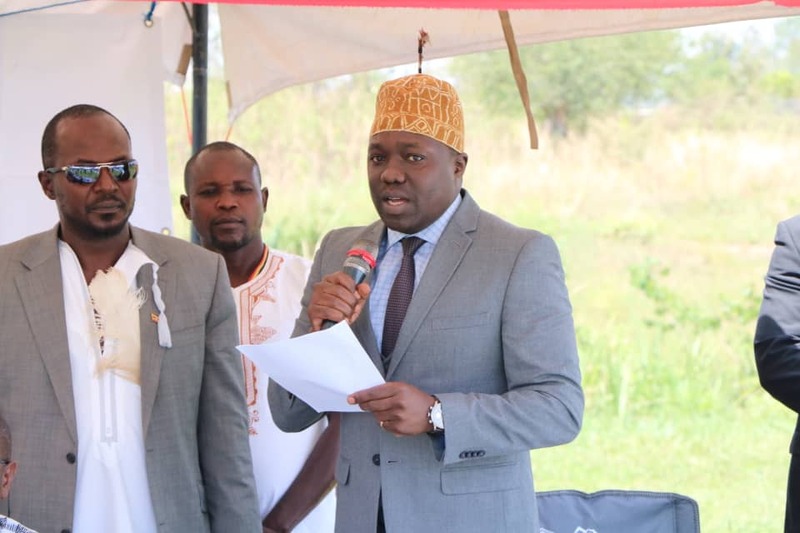 “The project we are launching today will strive to integrate actions on climate change, poverty, and women economic empowerment for sustainable economic development in the constrained regions of Uganda,” he further said, calling on all partners for a collaborative effort to ensure the success of the project. Cultural leaders from the region, including His Royal Highness Stephen Drani of the Madi people and His Royal Majesty Phillip Ubim of Alur Kingdom pledged to support women’s access to more economic opportunities, mobilize communities and stakeholders to increase women’s access to productive resources and markets and ensure that women have greater access to and control of productive resources such as land, water and forests, as well as decision-making. The project, which will also empower disadvantaged women and youth including those in refugee camps, will be implemented in close collaboration and partnership with the Government of Uganda through the ministry of Gender, Labour and Social Development, the Ministry of Water and Environment, and the Ministry of Agriculture, Animal Industry and Fisheries.